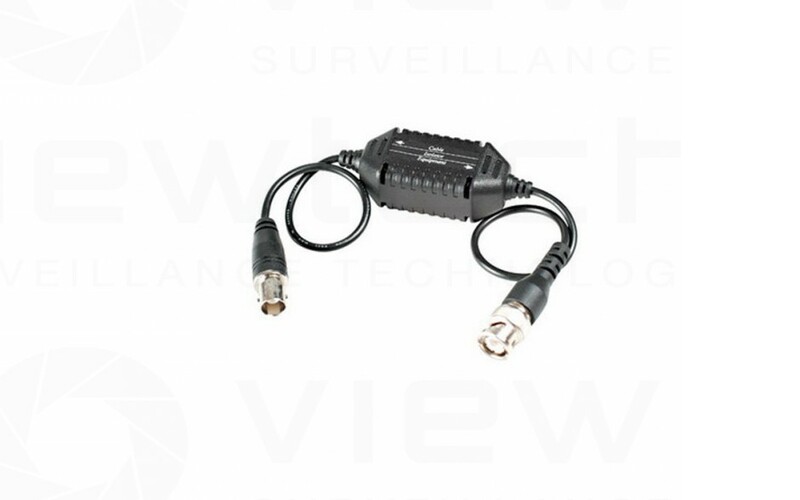 This ground loop isolator should be used when visible interfarence exists on a video signal due to ground potential differences. For example the ground or earth at the DVR may differ from the ground or earth where the camera is powered causing a visible problem signal to be noticed. BNC male to BNC female with mini cable 25cm on both sides. Prevents video-signal distortion caused by video ground loops. Built in TVS (Transient Voltage Suppressors) for surge protection.